At Techtites, over the past several months, I’ve been trying to optimise the site to get the best load times. This is why you’d have seen several new themes being experimented upon. I also use Cloudflare to improve performance. Another cool trick to speed up the site is to lazy load images. 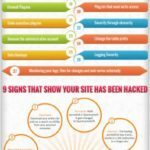 As you browse this site, you’ll notice that images are only loaded when they come into view. 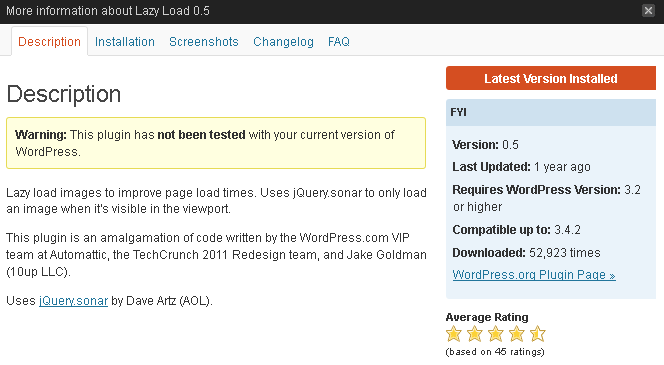 This is achieved thanks to the Lazy Load WordPress plugin. The big message you see at the top on incompatibility is because the plugin authors have not released an update saying that it works with WordPress 3.7. However, we’re running 3.7 on this blog and the plugin works fine! The plugin uses jQuery.sonar by Dave Artz (AOL) to lazy load images. The plugin is written by the WordPress.com VIP team at Automattic, the TechCrunch 2011 Redesign team, and Jake Goldman (10up LLC), so it comes straight from the guys behind WordPress. WordPress 2.7 – Blog your way!